We are thrilled to introduce our new label: Rosso Gauggiole Cru! 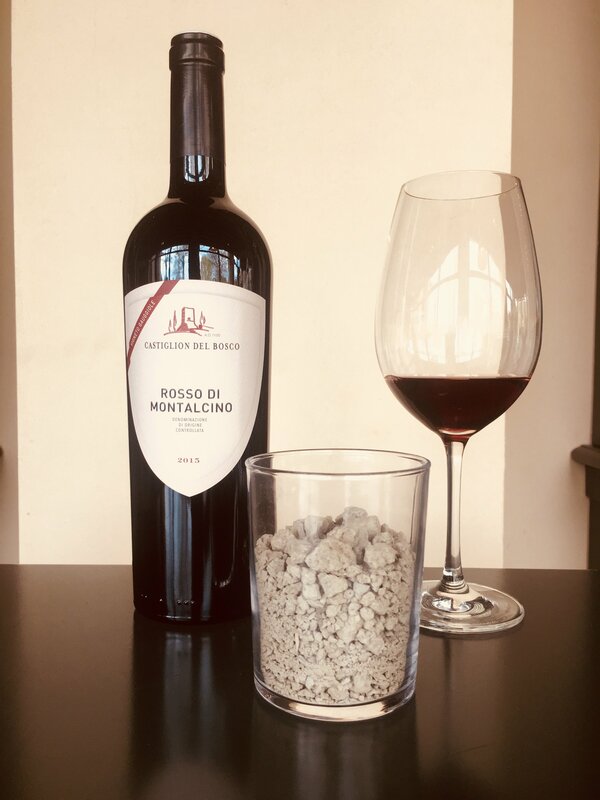 It is a young, refreshing Sangiovese, whose name derives from the location of the vineyards, historically titled after the farmstead of the same name, located in the northern part of the estate. This unique wine is the cherry-pick of grapes from different parcels. These grapes vaunt all the characteristics to express themselves at the highest level and to become Brunello, but due to the particularity of the vineyard the decision was made to refine the wine for less time than a Brunello and not to use traditional wood but stainless-steel tanks instead to preserve the primary aromas that the vineyard itself enhances. These choices have led to a wine that communicates a fresh and crisp fruitiness.